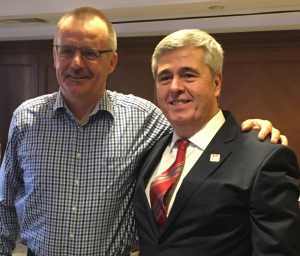 FIG Council had the opportunity to hold a face-to-face meeting in the beautiful city of Istanbul combined with a meeting with the Local Organisers of FIG Congress 2018. 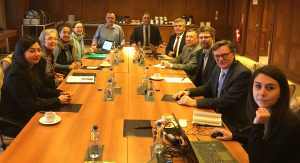 FIG Council met Monday 30 January – Wednesday 1 February in Istanbul. This was the first meeting for the two new council members, Orhan Ercan, Turkey and Mikael Lilje Sweden. 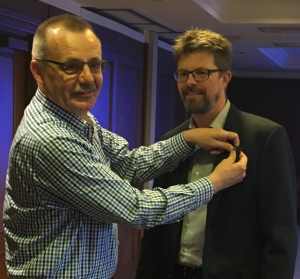 In the absence of President Chryssy Potsiou, who was connected via skype due to flu, Vice President Rudolf Staiger presented the FIG pin to the two new vice presidents. One day was dedicated to a constructive meeting with the Local Organising Committee for FIG Congress 2018. It was an opportunity for Council to hold the meeting in the beautiful city of Istanbul, and there was also time to inspect one of the potential venues for the Congress 2018. 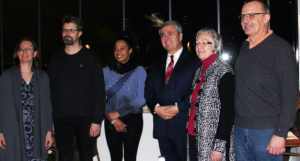 FIG Council, from right VP Rudolf Staiger, ACCO rep Gerda Schennach, VP Orhan Ercan, VP Diane Dumashie, VP Mikael Lilje and Director Louise Friis-Hansen. President Potsiou attended the meeting via skype because of a flu. FIG Council also met with Regional Director General, Sedat Cömertoğlu from the General directorate of land registry and cadaster, Istanbul, and some of his directors.